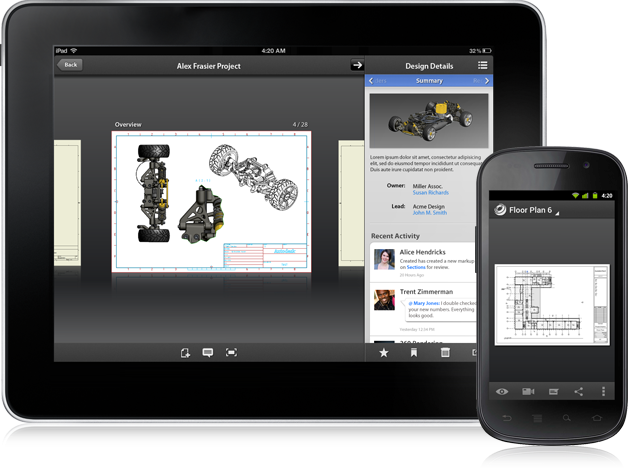 "Autodesk 360® Mobile is now available for your iOS or Android devices. Update the Design Review Mobile app on your device, or download Autodesk 360® Mobile for iOS on iTunes® or for Android on Google Play. "Autodesk 360® Mobile extends the Autodesk 360® cloud platform to help you streamline and expedite the design process with anywhere, anytime access and robust collaboration tools. Credit: The Revit Structure Learning Curve blog.